Downfield Golf Club was a village until the turn of the century, and play was at the 'Baldovan' course. The clubhouse was an old horse drawn tramcar. Downfield Golf Club was established 1932 after the course, part of the Camperdown Estate, was returned to the club after having been used as agricultural land in the First World War. The course was also extended by demand to an eighteen hole course. For 39 years until he retired in 1969, Fred Walker was the appointed club professional. This course is one of the finest in the United Kingdom, hosting many prestigious competitions, Scottish PGA Masters, Scottish Boys Stroke play and Scottish Amateur. This course has been described by many a leading player as one of Britain's premier parkland course, an inland gem, no visitor should miss. Dundee Ring Road, exit A923, the Coupar Angus Rd. At next roundabout turn right (Faraday St) take 1st left (Harrison Rd) leading up a hill. Turn left at 'T' junction follow Dalmahoy Dr. round long right bend. Club on sharp left turn. Downfield Golf course designed by CK Cotton is set in the superb parklands of Dundee. This scenic parkland course is a challenge to every golfer teeing a the par 4 first and continuing round the rolling contours of the course offering a variety of challenges to every golfer regardless of his or her ability. This golf course is a 'must play'. Superb layout rewards great shot-making. Even if your golf doesn't measure-up, you will enjoy the scenery. Downfield is surely deserving of all the accolades; it definitely rates as perhaps the best of the parkland courses in Scotland. In my experience only the Kings course at Gleneagles and the new Kingsbarns course at St. Andrews ranked as high. Played it on June 29. A very fine course. Lush fairways and good paced greens. A good test and not very crowded. I can see why it is an Open qualifying course for Carnoustie next year. Quite friendly staff as is everyone in Scotland. I consider it a must play if you are in the area. 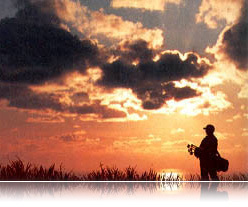 It is a great golf course and the more people that know about it the better. Superb course, seems to be ignored in the rush to play St. Andrews or Carnoustie by players going to this area. I have rarely enjoyed a round so much, great condition.